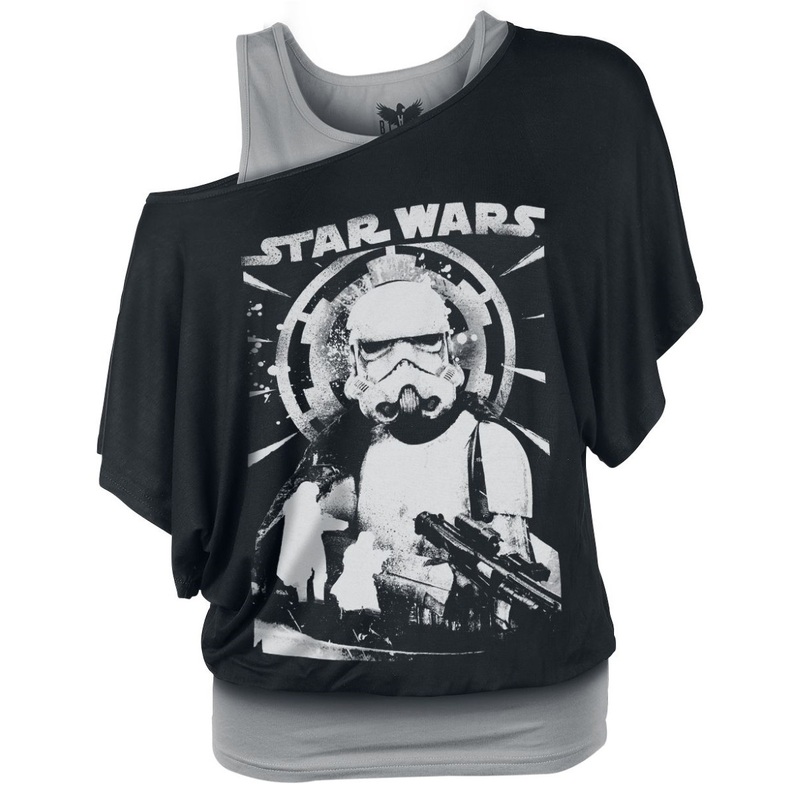 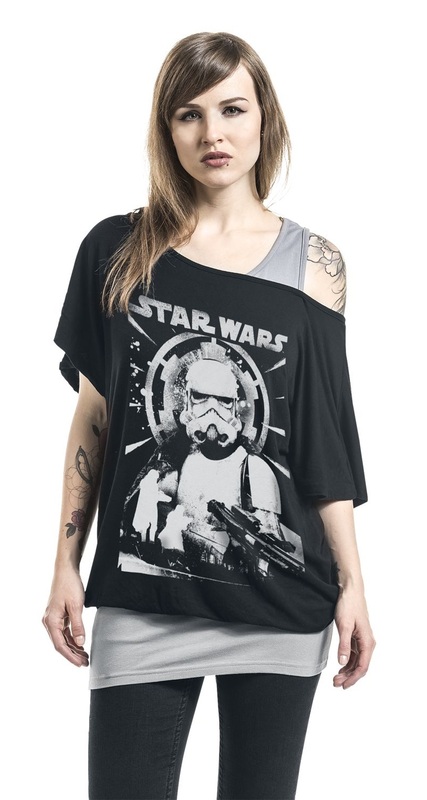 This women’s Solo Imperial Patrol top is now available at EMP Online. 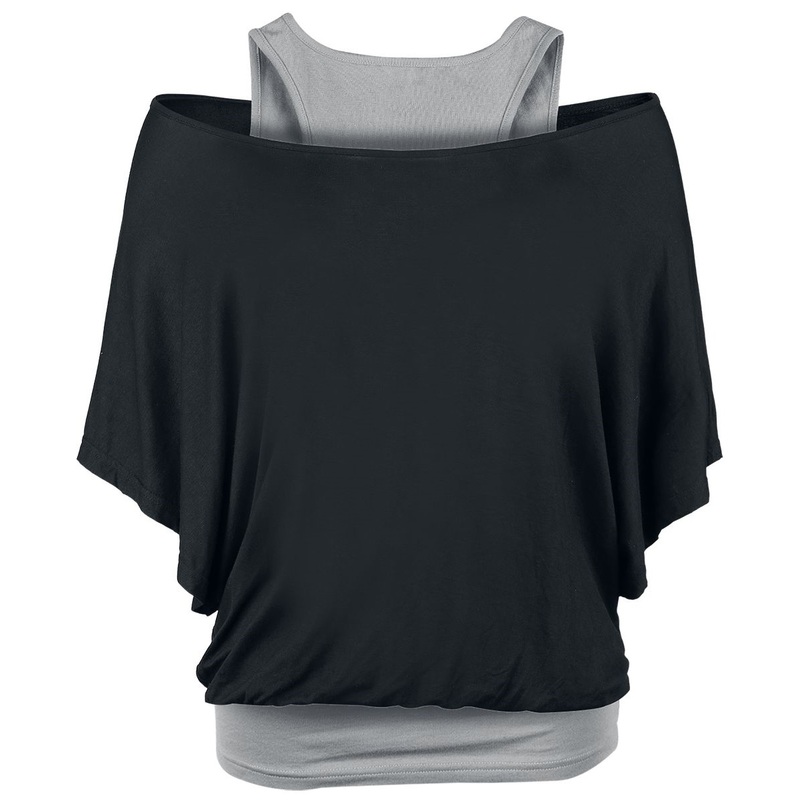 The top has a double-layer style, with a looser batwing-style black printed top overlaying a grey tank top. 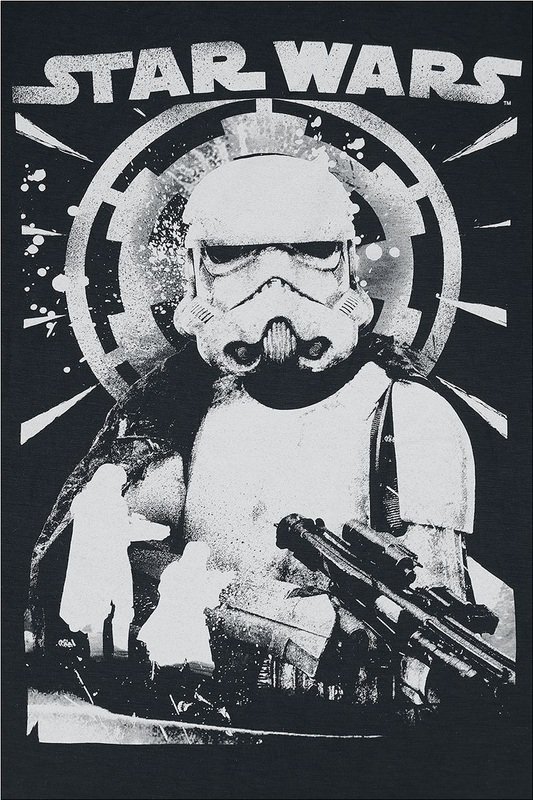 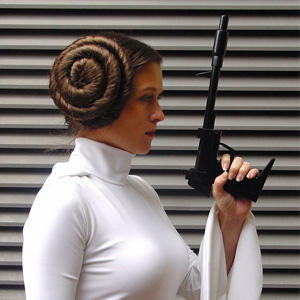 The black top features a Stormtrooper as seen in Solo, with the classic Imperial ‘cog’ symbol in the background. 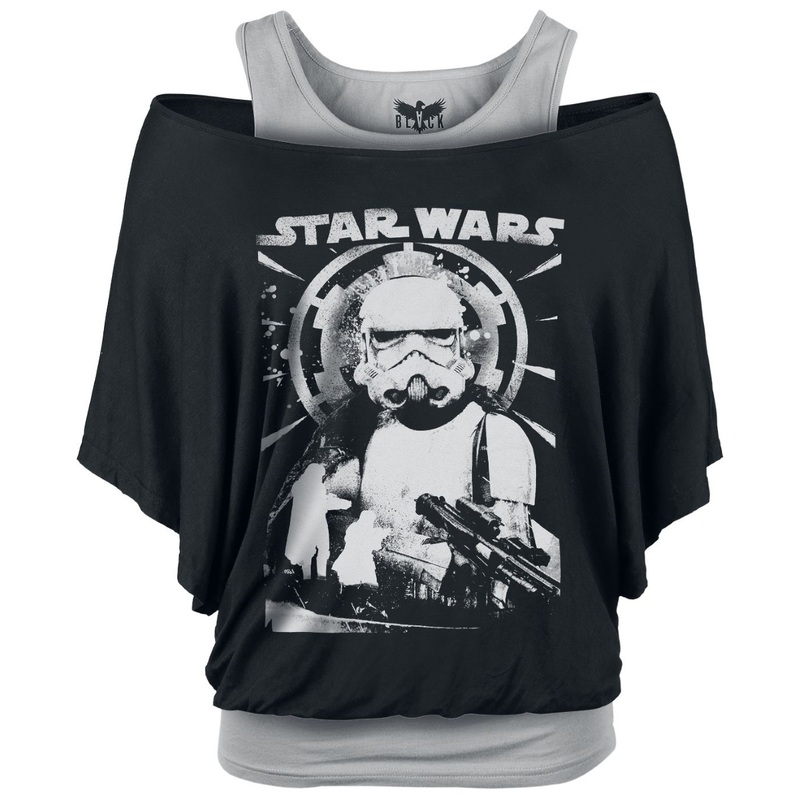 I love the style of this top! 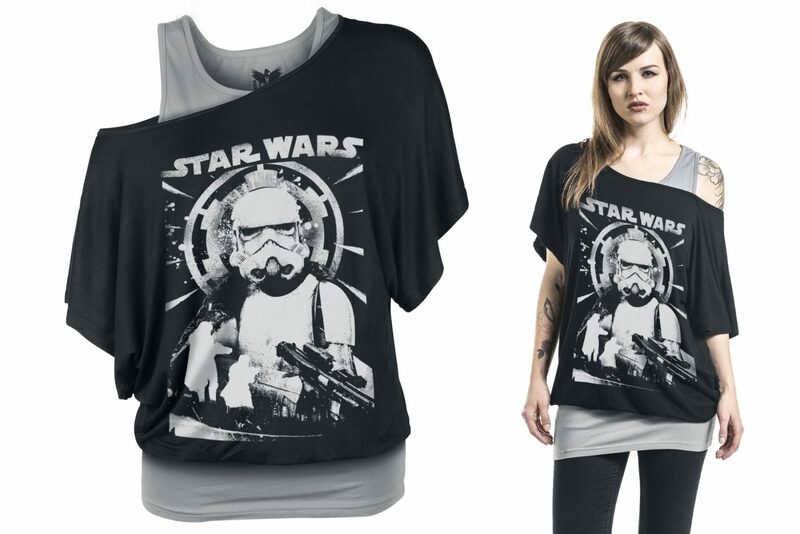 Available in sizes S to XXL, the top is priced at €39.99 each (approximately US$47.68 each) – EMP Online can ship internationally.